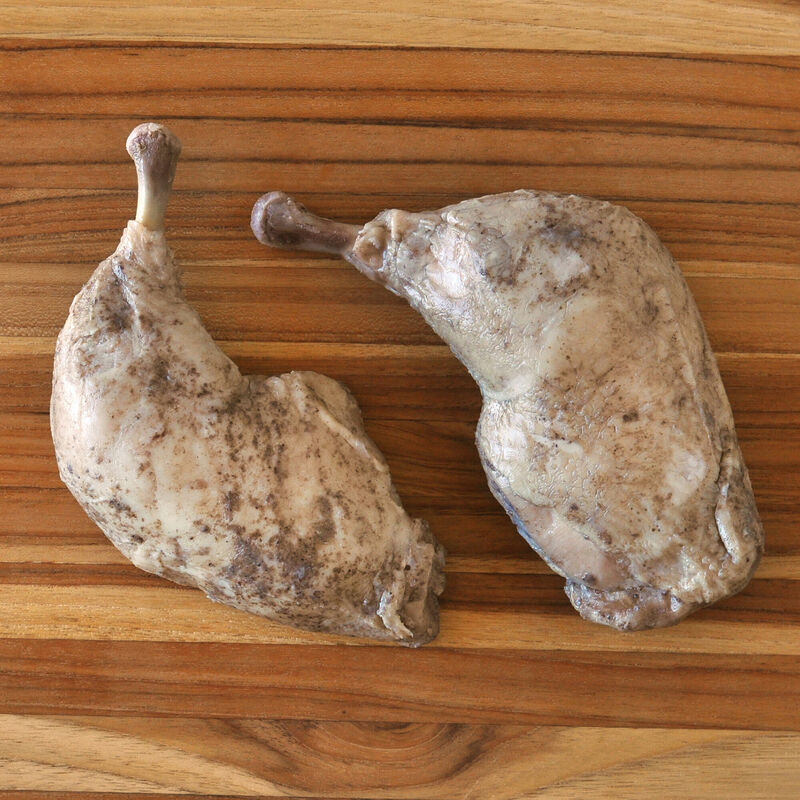 Confit made from chicken raised free-range without antibiotics or hormones. Chicken thighs and drums are slow-cooked in duck fat until tender, using all-natural ingredients and traditional methods perfected in Southwest France. Fully-cooked, quick and easy to heat, chicken leg confit makes a great addition to your favorite dishes. Chicken leg confit makes a great addition to your favorite dishes. Because it is fully cooked, all you need to do is heat it on the grill, under the broiler, or in a skillet until the skin is crisped to your liking, or until it is heated throughout. Either shred the tender chicken meat, or serve the whole leg for a lovely presentation. When deboned and shredded, the meat can be rolled in tortillas for burritos, packed into pre-cooked mini-pastry cups, tossed with salads or pasta dishes (try using it as a ravioli filling), and stirred into chili, soup or stew. For an easy meal, we like it simply broiled until the skin gets crispy, and then shredded and served on a salad.